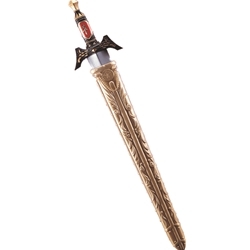 A silver metallic plastic sword with a gold sheath. Great for use with knights, kings and any other medieval characters. This sword has a 22-inch blade.